In order to compete in Obedience or any other sporting discipline one must be a member of the State ruling body. If you are not a member of a State ruling body see links to your individual State body (see member clubs). 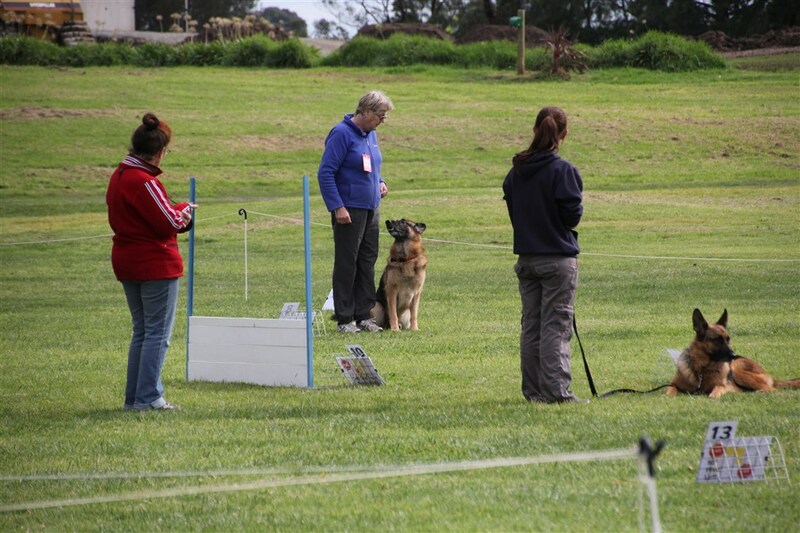 The GSDCA supports obedience training and competition via its affiliate Clubs and at the National Shows. 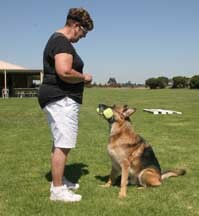 Most affiliate member Clubs conduct obedience training sessions for the new owner and new handler as well as for the enthusiast. For information pertaining to these classes please contact your state affiliate Club. Member Clubs also hold Obedience trials connected to their Specialty German Shepherd Dog Shows whereby dogs are able to gain Obedience titles. (see member Clubs). 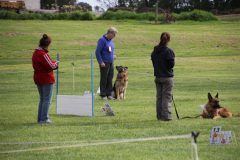 Trial Classes begin at Community Companion Dog level and go to through to Utility Dog Excellent title. 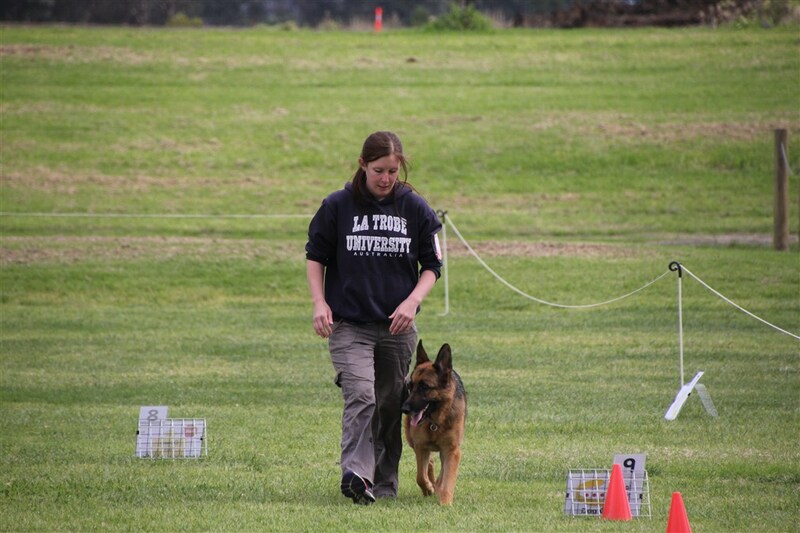 Trials are conducted under the rules and regulations of the Australian National Kennel Council. The trial ring is an excellent place to see the ability and level of obedience GSD’s and their handlers can aspire to and achieve. 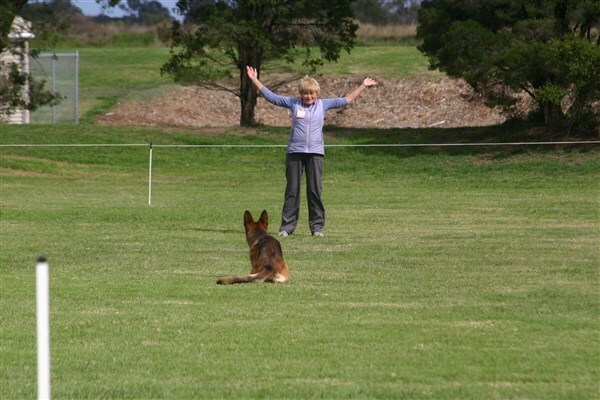 The rules and regulations and all obedience classes can be viewed on the ANKC website. This covers all classes, lists of exercises, size of rings, equipment measurements and standard, the points scoring system for the judges and all other requirements for trialling. 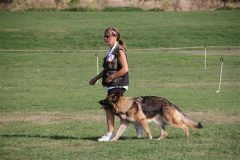 Titles attainable in obedience are CCD (Community Companion Dog title), CD (Companion Dog title), CDX (Companion Dog Excellent title), UD (Utility Dog title), UDX (Utility Dog Excellent title), and OC (Obedience Champion). Past Trial Results of the National Show and Trials are published on the National Shows page with the Archived Show Results. 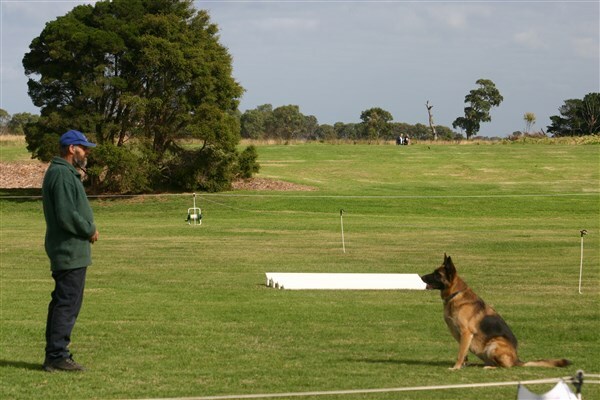 Rally O can be described as a combination of Agility and Obedience. A Rally course is set out with numbered stations including a start and finish. Handlers have the opportunity to walk the course to become familiar with it before competing. 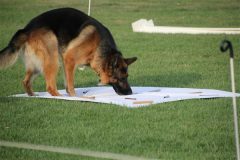 Participants then navigate the course by following the numbers and carrying out the exercise shown on the sign positioned at each of the numbered stations. 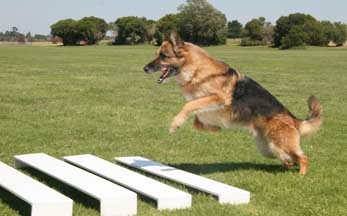 Dogs work in the “Heel” position between exercises. 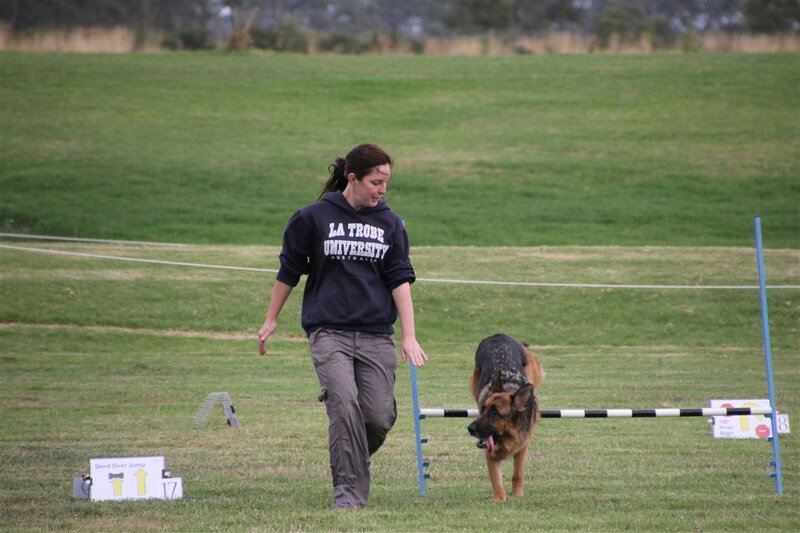 At Novice level, dogs negotiate a course having between 10 and 15 signs (not including the start and finish) and work on lead during the test. There is a total of 50 signs gradually increasing in complexity. The higher levels of Rally O use up to 20 signs including many of the more complex ones and complete the courses off-lead. Rally was designed with the average dog owner in mind, as a way to introduce them into the world of dog sports and for people to just have fun with their dog. 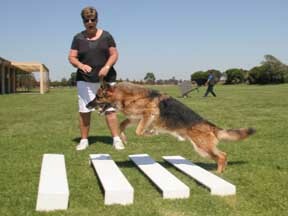 It is also suitable for accomplished Obedience or Agility triallers. It provides them with another way to interact with their dog, particularly as their dog becomes older and less able to manage some of the more strenuous aspects of those sports. 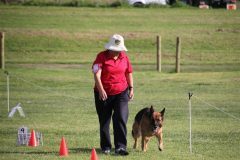 In Rally, competitors complete the course on their own and are allowed to use multiple hand and verbal cues and can talk to, praise and encourage their dog throughout the performance – it has a far more relaxed atmosphere than other dog sports. Each run is a different series of exercises – you never know what the course will be until you do the preliminary walk through. 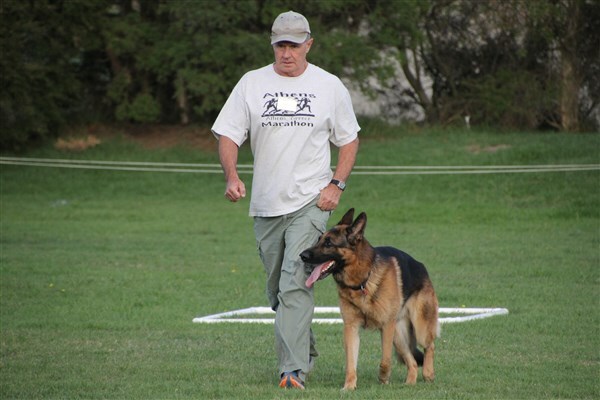 The competition is open to all owners of ANKC registered pedigree GSD who are financial members of a Member Club of the GSDCA at the time of the competition, and shall be a member of an ANKC Affiliate (State Canine Control) at the time of the competition. 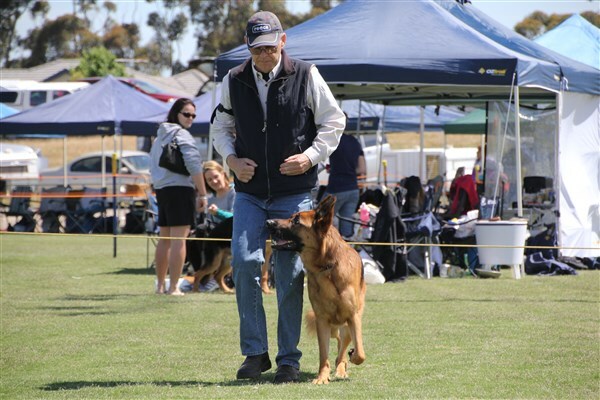 To qualify to enter CCD and Novice do not require GSDCA National participation. To qualify to enter Open, UD and UDX Competitors must have competed at the previous GSDCA National. Where the National score is non-qualifying, it must still be included as proof of participation. The relevant information on the winning dogs and handlers, Dates of trials, Member Clubs conducting the trials and scores, shall be published in the QNR. If still no result, they will each/all be presented with the award for that section. If there is no qualifier in any of the sections, then the award for that section will not be presented for that year. 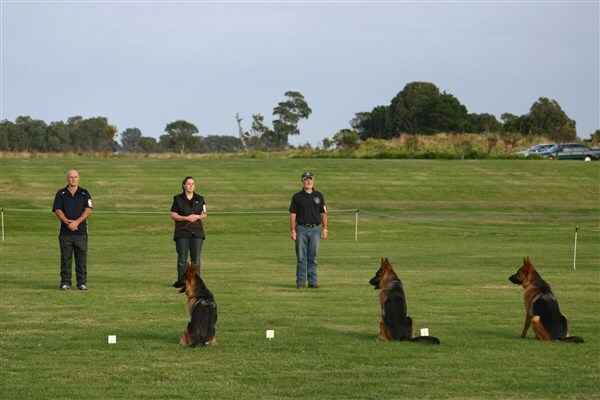 EXCELLENT HANDLER AWARDS are presented for the Excellent gradings to be achieved in the working aspects of : Obedience, Tracking, and Agility, in one, or any combination of these disciplines. 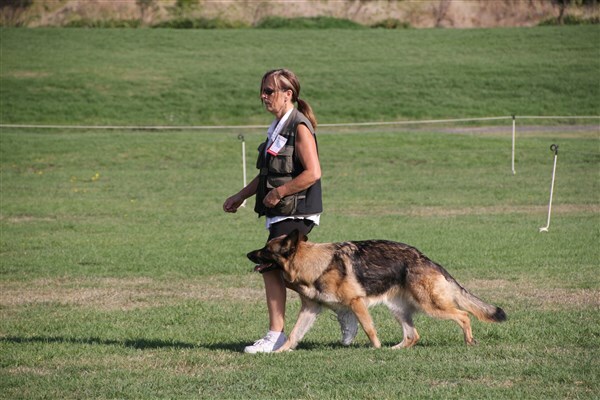 OBEDIENCE EXCELLENTS : These are awarded at all GSD Club Trials by any ANKC Licensed Judge for a qualifying score of 190 or over (95 or over in CCD). 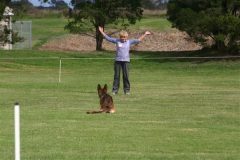 RALLY OBEDIENCE EXCELLENTS: These are awarded at all GSD Club Trials by any ANKC Licensed Judge for a qualifying score of 95 or over. 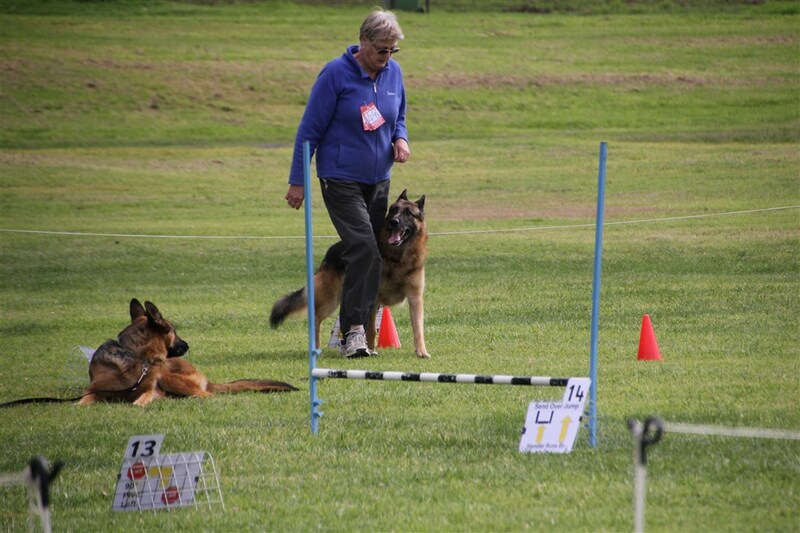 AGILITY and JUMPING EXCELLENTS : These will be awarded for 2 clear rounds in Novice, Open and in Masters. TRACKING EXCELLENTS : These are qualifying certificates issued by any organizing club, with the judge awarding a “pass, EXCELLENT”. 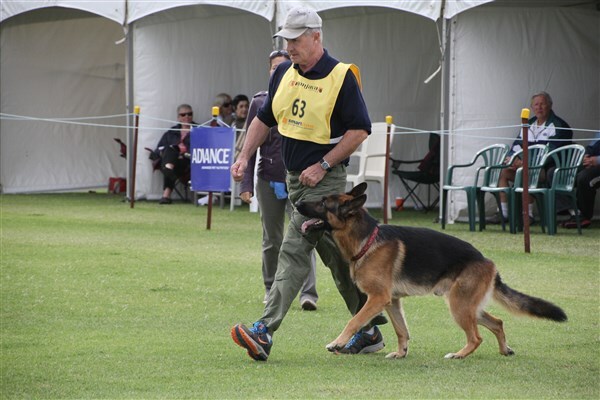 EXCELLENT DOG AWARDS : These are presented to dogs that are awarded 10 Excellents in Obedience and/or Tracking and/or Agility/Jumping, in a single or any combination of the 4 disciplines. 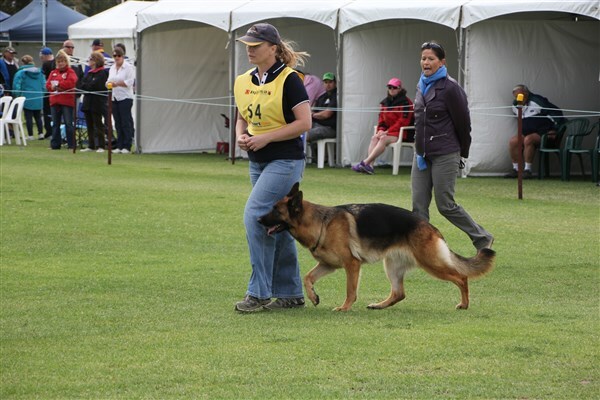 BREEDERS’ AWARDS : These will be presented to breeders of dogs that have gained the EXCELLENT DOG AWARD, provided that the dog has gained either an OSAC or Breed Survey Classification. 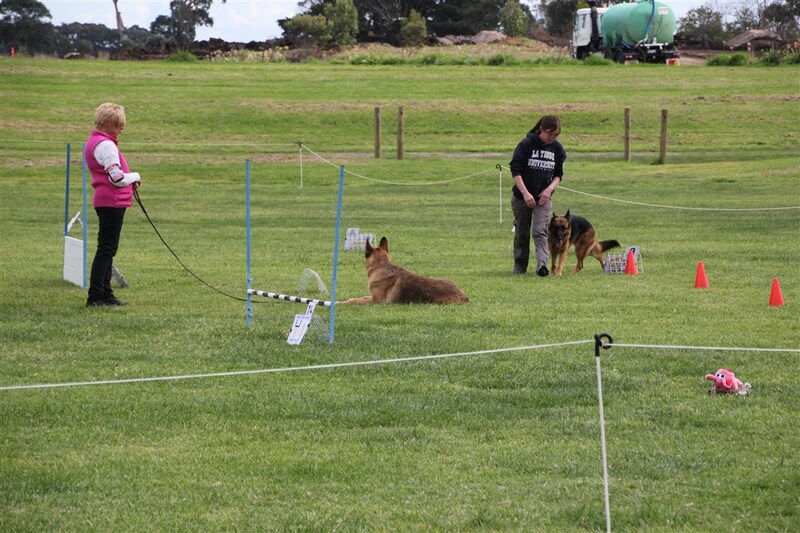 NOVICE CLASS: Please send in your highest 3 qualifying scores from any trial. No National required as entry. 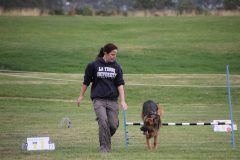 OPEN and UTILITY CLASS: The National score, PASS or FAIL, count as an entry into the competition. Competitors will submit any SIX qualifying scores. The highest aggregate wins. 1. 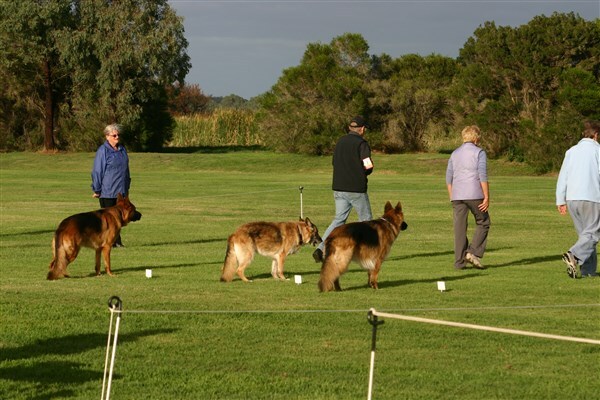 Entry to the teams event is open to Clubs, kennels or groups of individual competitors. 2. 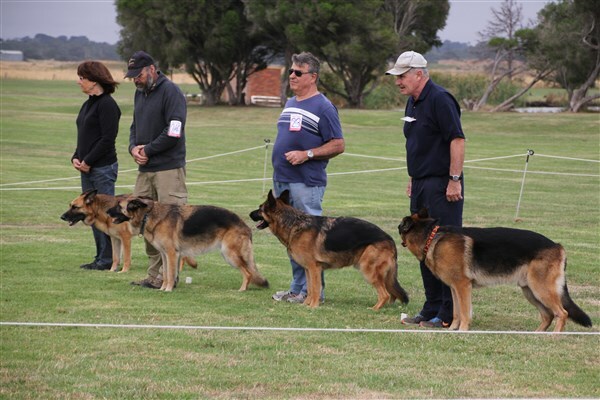 Each team must be comprised of four separate dogs, which may come from any class. 3. 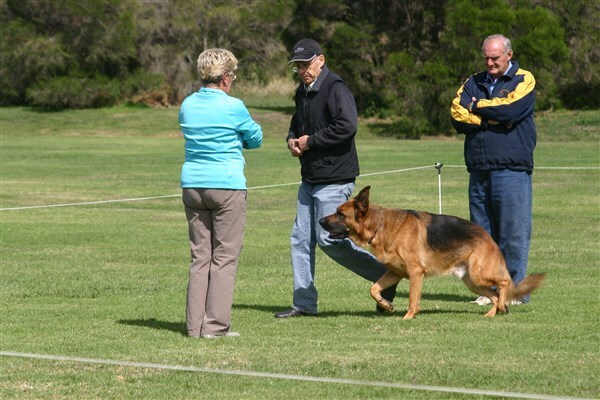 Each team member must be a member of an affiliated GSDCA club. 4. More than one team may be entered by any one group. 5. Individual dogs may be entered in Open and UD in two different teams, provided that any class score is counted only once. 6. Team co-ordinator to sign off on rules at time of entry. 7. All scores must be qualifying scores. Total of three best scores for team. Four dogs scores will count, lowest score is dropped. Reserve to be used only if one of nominated team cannot compete. Please note that the entry form MUST be lodged with the Trial Manager / Secretary prior to the commencement of the obedience trial.